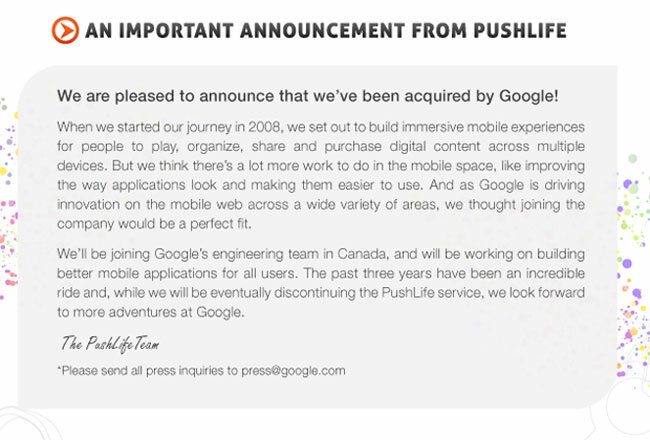 We have been hearing quite a lot about Google Music recently, and now Google has just purchased a company called PushLife, and they have reportedly paid $25 million for the music start up. PushLife is software that lets you port your iTunes and Windows Media Player libraries to non Apple smartphones, like Google’s Android and RIM’s BlackBerry. The company was founded in 2008 by a former RIM employee, and the software lets you manage your music, ring tones, wallpapers, videos on your smartphone. It sounds very similar to Apple’s iTunes, and with this recent purchase, Google could integrate all these functions into their Google Music service. Take a look and our article on Android vs iPhone to see which smartphone and mobile platform is best for you.